Egypt: Police stood by and encouraged a Muslim mob attacking a church. After local Muslims in Ezbet Sultan Pasha village learned that Christians, who form about 20% of the population, were on their way to legalizing a church building, they surrounded it on July 6, after Friday prayers. "The protesters were chanting slogans against us [Christians], such as 'We don't want a church in our village,'" said one resident. "We locked ourselves in our homes during the demonstration because we were afraid that they would attack us. Police didn't do anything to disperse the demonstrators and didn't arrest anyone of them." Demonstrations continued into the next day with no police intervention. "While police did not intervene, one of the officers apparently promised the protesters that no church would be allowed in the village. ... [T]his declaration encouraged the protesters who clapped shouting 'Allahu akbar'.... There are at least approximately 3000 pending applications from churches that still need to be examined by the government commission set up to verify whether they meet legal requirements." Archbishop Makarios released a statement saying, "We are saddened by official appeasement of and acquiescence to demands by some who possess no right to such demands [the demands to have no church in the village], to the detriment of Coptic rights." A local said, "Terror dominates the village because the Muslims can demonstrate and gather at any time. We are in great fear and in anticipation of the situation." "A group of armed Muslims abused Christianity and desecrated the church stuff. Around 50 men and women were praying in the church when the group of Muslims did aerial shots, attacked the church, beat men and women, damaged windows, altar, pulpit, chairs, and desecrated Christian literature. However, timely intervention of the local police controlled the situation and saved the Christians. The [attackers] had a property dispute with Abid Masih and wanted to [take] the church property as well. In order to pressurize the Christian community, a young Christian was kidnapped a week ago, however later recovered." "It is sad to note this new violent trend in which Muslims have started attacking places of Christian worship to settle personal disputes. Such acts against the weaker sections of society often go unpunished. I have no hope that justice will be done for these Christians as the administration and legislatures have often turned a blind eye to the issue of violence against Christians." "On Wednesday night [July 25] the Saint-Pierre du Matroi church in Orleans was set on fire with 'criminal intent,' according to police sources. Furniture and sheet music were burned and the heinous graffiti [were] found, one of which said 'Allahu Akbar.' Fortunately the fire was extinguished quickly by firemen and it didn't burn the church's supporting structure. This isn't the first attack on a French church. 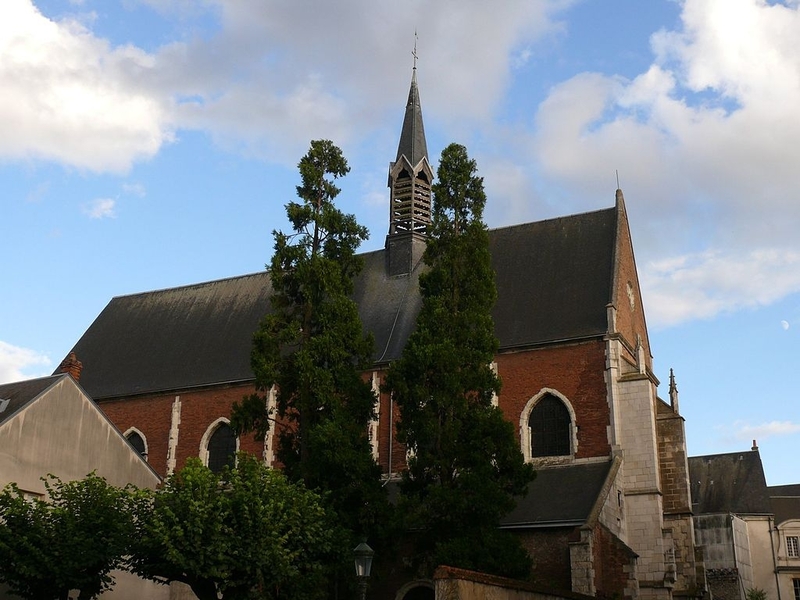 On 26 July 2016, two Islamist terrorists attacked participants in a Mass at a Catholic church in Normandy. The men killed the 85-year-old priest Jacques Hamel, by slitting his throat, and also critically wounded an 86-year-old man. Last year a Muslim woman, only known by her first name 'Kenza,' was given a two-year suspended sentence for vandalising the Sainte Marie Madeleine Church in Rennes-le-Château... [T]here were 128 incidents of church vandalism or other anti-Christian attacks in France in the first five months of 2018." 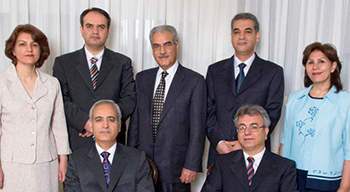 "The church has for more than a decade been led by Pastor Miran. The leadership of the school where he worked threatened to fire him after they learned of his conversion and his role as a church leader. He was also accused of child abuse by the school and jailed for six months... [T]he church felt the allegation was only levelled against him because of his conversion. Since his release, Pastor Miran, a father of five, has been unable to find paid work." Local Muslims say "If Miran could betray his 'native pure Islam,' maybe he could do other bad things too." "They put the curtain and the front door under seal, which strictly forbids us to open the doors of the church once closed. After execution of the order of the wali [governor] of Bejaia to close the premises, the gendarmes left. ...That's where we are... [O]ur church is closed, and our faithful can no longer meet.... This is injustice. The authorities who are supposed to respect and enforce the laws of the republic themselves do not respect them. Is it not true that Algerian law and international laws respect and demand respect for all religions as much as Islam? And also their practice? Why are they flouting these laws of the republic?" On July 26, the United Nations Human Rights Council said in its concluding observations that it "remained concerned" about these closures. It called on Algeria to "guarantee the full exercise of their [its citizens'] freedom of thought, conscience and religion to all." It also called on the Algerian government to "refrain from obstructing the religion of persons who do not observe the official religion, in particular by the means of destruction and closure of establishments or refusal to grant registration of religious movements." "Turkish authorities... have, in practice, encouraged the destruction of valuable Armenian cultural and civilizational [sites].... Turkey's rulers after the Armenian genocide and their physical destruction in western Armenia (present-day Eastern Turkey), the land of their ancestors, have for centuries consistently pursued the cultural genocidal policy of their affairs as a state policy to eliminate any trace of them." "A group of police officers threatened Maher's brothers that if they insisted that he was killed at the police station or demanded an autopsy, they would receive charges, meaning the police would fabricate charges against them.... I will not find consolation until the perpetrators are held accountable. We want to feel that we live under the rule of law, with justice and equality, and not in a state of repression..."
Egypt: After a Christian man was accused of insulting Islam's prophet on his Facebook page by linking to an article that compared Muhammad to Jesus, police arrested him and local Muslims rioted—attacking Christian homes and trying to storm the village church—on July 9 in Menbal village. Windows were smashed and some Christians sustained injuries from glass shards. "The Muslim extremists in our village and the nearby villages incited the Muslim villagers against us .... They began pelting the Coptic-owned houses with stones and bricks, while shouting 'Allahu akbar' [Allah is the greater] and chanting slogans against Copts, such as 'We will displace you and the priest from our village, oh kafir [infidels], oh the worshipers of the cross, oh defiled people,'" said one Christian resident. "We lived very terrible moments while the mob were attacking our homes. Our children were screaming," said another: "All of us [Christians] have stayed in our homes. We are afraid to get out to the village streets. There is a state of panic and fear among all of us here.... [W]e are still receiving threats from our Muslim neighbours. They say they will take revenge on all of us as soon as the security forces leave the village. We are afraid that they will attack us this Friday after their noon prayers." "We spent a painful evening we shall never forget," said another Christian resident of Menbal. "An evening of terror." "met as a small group together in one of the Conex containers they were housed in, gathering a few others. Somehow, they came to the attention of the other camp residents... a mob formed on Sunday night as they were holding a Bible Study meeting. The mob attacked them, threatening them with knives and beating the men, resulting in hospitalization for two of them. The two women and two young children were also threatened with knives. Petrol was poured into their Conex. They were called 'kaffirs' [infidels] and told to leave the camp. One of the men had a previous heart condition and the attack caused him to pass out. An ambulance was called but the mob tried to prevent its entry into the camp. The Greek police present did nothing, being massively outnumbered by the mob of 30-40 people." "Before I even woke up for my work, (a lady) called me and told me she was in the University Hospital because she and her husband were assaulted by a group of Muslims," recalls Pastor Apostolos Theodorakos of the Free Evangelical Church in Larissa: "I ran into the hospital and I found this beloved soul with her child, terrified, with jabs.... [A] group of 30-40 people had come... accusing them of being Christians and going to church. In fact, one took a liquid inside the container and someone tried to (ignite a) fire." All of the victims of the attack have since fled to a safe house. Indonesia: On July 24, Martinus Gulo, a 21-year-old Christian university student, was sentenced to four years in prison and a fine of 1 billion Rupiah (roughly $68,000 USD) for religious defamation, or "blasphemy," against the Muslim prophet. On hearing the verdict, dozens of Muslims cheered and shouted "Allahu Akbar" ("Allah is greater"). Months earlier he had posted a Facebook post likening Muhammad to a pig. According to the report, "Gulo, who is Christian, told authorities that he made the post because he was upset that his own religion was criticized online....The case fueled concerns that Indonesia's moderate brand of Islam is coming under threat from increasingly influential radicals." "The 55-year-old pastor had resettled his family in Mazuba five years ago after fleeing persecution by Muslims in Sironko village... In April, Muslims in Mazuba noticed that some Muslims had become Christians and were attending his church... Word that he was a convert from Islam spread quickly, and Muslim schoolchildren began bullying the pastor's eight children... As area Muslims threatened to kill his children, the pastor and his wife felt compelled to send them to a boarding school in another town. At beginning of the year Pastor Budallah donated a part of his land for construction of a church building. After walls had been built, however, area Muslims ... put a stop to construction." That did not stop the threats: "We know your tricks, that your intention of building the church is for you to convert our members to Christianity," reads one letter. "If you continue building the church, then you are risking your life as well as the life of your church members." The pastor's Muslim relatives also continued to send him threatening messages: "You have refused to come back home [Sironko], and we hear that you have started building a church for infidels," a text message said. "Know that Allah is going to deal with you soon, and you will not finish it nor pray in it." "The church members are now living in great fear for their lives and have stopped attending church services," says the pastor. "A stone struck pastor Tom Palapande, 38, in the head during an open-air debate ...with area Muslims about Islamic and Christian scriptures, the Trinity and the Sonship of Jesus, among other topics.... [I]n the fourth debate about Jesus as the Son of God, a sheikh found himself ill-prepared and left in the middle of the event... Embarrassed Muslims in the crowd responded by throwing stones at Pastor Palapande and shouting the jihadist chant, 'Allah akbar,' ['Allah is greater']... A big stone hit the pastor's forehead, and the stones as well injured three other church leaders who were close to the pastor at the podium..."
After regaining consciousness in a clinic and being transferred to a hospital in Mbale, the pastor said, "This is not the first time when Muslims attacked us, especially when they lost debates." Uganda is a Christian-majority nation; Muslims make up not quite 14% of the population. "The Kurdistan Regional Government (KRG) has imposed a discriminatory new regulation requiring all business owners from the Assyrian-majority city of Ankawa [which is more than 80% Christian], located in the Erbil Province, to renew their business licenses ... for a fee. This new regulation applies exclusively to Ankawa, despite the fact that a total of ten districts are under the Erbil Center District's jurisdiction.... The new order targeting Assyrian shop owners is the latest form of discrimination targeting Assyrians in Ankawa.... One Assyrian politician ... was told by a KRG official that this was a form of jizya tax, justified because Ankawa is a Christian town." "Fight those who do not believe in Allah or in the Last Day and who do not consider unlawful what Allah and His Messenger have made unlawful and who do not adopt the religion of truth from those who were given the Scripture—[fight] until they give the jizya [tribute] willingly while they are humbled." "In all about 1,500 Christians [continue to] live in inhumane conditions. Some NGOs have provided them with metal sheeting to build makeshift shelters. Even though the victims formally complained about it and called on the government [to intervene], they have been abandoned and the administration has been silent. I do not know what's behind it." One of the homeless Christians, Joseph Murmu, said that "the government has behaved badly [with the people]. We want to get our land back." In another instance, a Muslim man escorted by fifty armed people seized the land of Abraham Cruze, a 65-year-old Catholic. "For two years, I have been asking for help," said the evicted man. " But so far, all my efforts have been in vain. I had a small house and now I am a homeless person; I live with some of my relatives." "It is crystal clear that the rise of Christianity in Zanzibar has attracted hostility and discrimination, issues that the international community knows too little or nothing about. It's true Zanzibar is known for tourism and spices, but the truth of the matter is that the Christian body has been persecuted for so long." Another pastor, Amos, was ordered to halt construction of a church on his land in 2017: "Our legal pursuit to retain the ownership of the church compound has been halted by the Islam-influenced judicial ruling," he said. "We fear that the unfinished church building will be demolished anytime and a mosque will be constructed." "Egypt's version of the Hippocratic Oath, which all of the nation's doctors—both Muslim and Christian—are required to take, contains wording that is not unlike the Islamic confession of faith... The problematic section comes at the very end, where the oath-takers recite 'Allah and his Prophet.' Whereas most Copts [Christians] have no difficulty acknowledging 'Allah'—which is just Arabic for 'God'—'his Prophet' is more problematic, as it is an acknowledgement that Muhammad is indeed the prophet of God. Any Coptic physician publicly reciting this oath places his or her religious identity in danger, as this would represent an implicit conversion to Islam." The fear is that such wording may increase the chances of Christian doctors falling afoul of more zealous Muslim colleagues or patients: on hearing a Christian professes Muhammad as Allah's apostle—that is, essentially profess the shahada—physicians may be harassed to follow through and embrace Islam. "To be a woman in a country where most of her people see women as a disgrace, and at best look at her from a sexual point of view, it is a heavy burden, but even worse when you are a Christian woman. It is hell!.... Sexual harassment can be described as an epidemic that spreads throughout Egypt. According to a 2013 study by the United Nations, more than 98 percent of all Egyptian women have been subjected to harassment. But the study did not show how harassment differs from a woman wearing hijab to another who reveals her hair. Most Muslim women in Egypt wear hijab and therefore, the others who do not wear it are most likely Coptic. This means that the Egyptian man thinks he has the right to harass her, simply because he sees her as a whore and a disbeliever. You may think that I am talking about a certain class of men, but in fact, most Muslim men (not all, but the majority) view the Coptic woman as easy prey. He thinks that he will have a religious reward if he can manipulate her emotionally and persuade her to marry him, or to convert to Islam, a phenomenon prevalent in Upper Egypt." This is the true meaning of Islamophobia, you are not allowed to criticize Islam in any respect, Muslims in any respect and their horrible forms of government in any respect. SUBMIT. Islam was founded by a warlord. Nothing has changed, Islam is fighting a religious war with the rest of the world. Time to face facts! The "church" is actually the body of believers. The attackers are technically try to to destroy the meeting places. The Lord's church will never be destroyed. With that said, the attacks are directed towards God...the living God. What futility. OK, so what are we going to DO about it? What is UN going to do bout it? No EXCUSES. We cannot just sit around and not even get this stuff in mainstream conversation! WHAT ARE WE DOING? "It is sad to note this new violent trend in which Muslims have started attacking places of Christian worship to settle personal disputes. Such acts against the weaker sections of society often go unpunished. I have no hope that justice will be done for these Christians as the administration and legislatures have often turned a blind eye to the issue of violence against Christians."" Being "sad" and having "no hope" isn't being an "activist" it's being a Christian defeatist, always preferring useless pity to useful anger. Re: "Police didn't do anything to disperse the demonstrators and didn't arrest anyone of them." Familiar! This even happens with "antifa" in Trump's America!